I just don’t care. I don’t care about Coldplay; it’s a shame Chris Martin went through a breakup. Breakups are tough whether you are a successful musician or the person stocking said musician’s CD on a shelf at Target. I don’t care about Coldplay press. I don’t care for the kind of vitriol we tend to share in our social circles when we feel like celebrities need to be taken down a peg. I don’t care for the verbal sniping that occurs when people are emboldened by the anonymity of internet comment threads. The world moves on. We spend so much time attacking, and hating, and shaming, but the world moves on. We are frustrated with Coldplay for being wildly successful when the music that they produce is banal and soulless, but as Mr. Agreeable points out with some clarity in between f***s: there was a musical void to be filled in the Aughts and they just happened to be there to fill it. Why did people buy it? Because that’s what people do. Every decade. Every decade is littered with forgettable music. For every Beatles, there’s a 1910 Fruitgum Company. For every Pink Floyd, there’s The First Class. Coldplay is not a one-hit wonder by any stretch of the imagination, but will history remember them? That remains to be seen, but aside from this blog post, I don’t plan on giving any attention to them. And there’s the last thing: It’s how I operate my end of the sphere here at Nanobot. I devote my time to thinking and writing about the things I care about and that I feel like others should care about, too. If I don’t think it’s worth anyone’s time, I don’t mention it. This is the only space I will ever mention Coldplay, Justin Beiber, most other Top 40 music, or anyone else that we love to hate. They don’t register; they aren’t worth the energy to get angry about. You want to spend time writing angry missives that you hope will take them down a notch because they get too much attention? Congratulations, you just gave them more attention. And I get it, it’s easy. It’s easy to attack those that are more successful than us that we feel do not deserve that success (for whatever reason). It is harder (and way more rewarding) to share the music that we feel deserves that success. Every time someone says “you know that Mumford and Sons is pretty decent,” I try to point them in the direction of a Niall Connolly or Rin Tin Tiger. Instead of listening to Coldplay, try Curious Quail or Marvelous Beauhunks. Why listen to Katy Perry when you could listen to Katy Laurel? Everyone has heard of Kanye, but what about SF1? Instead of trying to shame a band, or shame people who listen to vapid pop music, try and turn them on to independent music. If you feel like someone is undeserving of attention, stop giving it to them and direct it toward those who should. Share good music. That is a cause worth yelling about. 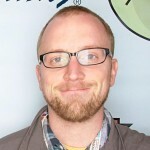 Clay is a regular contributor and co-founder at Nanobot. He lives in Denver, CO and understands the irony of writing an article about Coldplay that is an article about not talking about Coldplay. This entry was posted in Thoughts From A Fish and tagged Coldplay, Curious Quail, Ghost Stories, Katy Laurel, Marvelous Beauhunks, Mr Agreeable, Niall Connolly, Quietus, Rin TIn Tiger, SF1 by Clay. Bookmark the permalink.